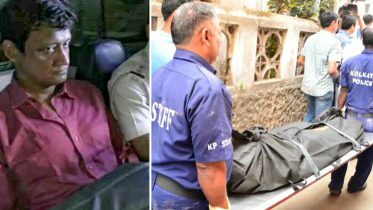 A stampede among commuters on a bridge connecting the Elphinstone station with Parel station led to 22 people losing their lives and 60 others injured. The incident happened at around 9.30am on Friday. The injured have been rushed to the KEM hospital. Railway Minister Piyush Goyal is on his way to Mumbai, following the Elphinstone station mayhem. Hospital authorities In KEM hospital have responded by saying there is a severe shortage of blood in KEM Hospital. B- and AB- blood groups needed urgwntly. Eye witness accounts said that a man slipped on the crowded foot over bridge and as other passengers tried to help him, others also slipped leading to many more slipping which led to a stampede. The bridge connecting Parel Station in Central Railway that connects to Elphinstone Railway station on Western Railway is always jam packed as the station is used as a cross over by people who use it to interchange between Central and Western Railway stations. During peak hours there are more than hundreds of people on the bridge. Fire Brigade, GRP and police officials have rushed to the spot. The incident comes on the day Railway Minister Piyush Goyal is to visit Mumbai. Police officials said that they are still trying to ascertain the reason for the stampede. 20 people have been seriously injured. The 22 victims who have lost their lives have apparently died due to suffocation. KEM hospital officials said that some more people have been injured in the incident and the fatalites could go up. Passenger associations have been asking for a bigger railway bridge for more than two decades now. Due to sudden rain,people waited at station,when rain stopped there was chaos to go out,stampede occured:A.Saxena,DG PR,Railway. 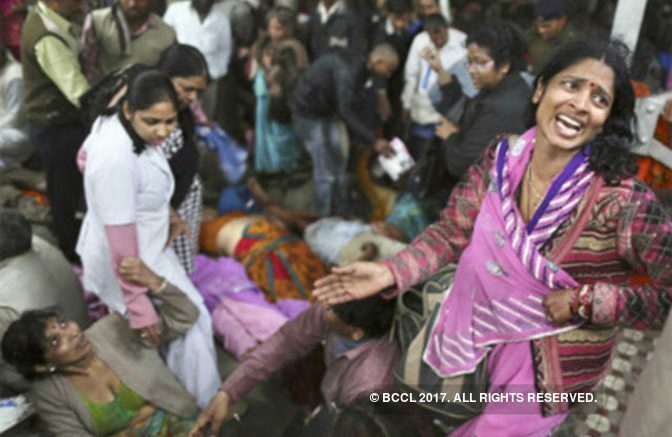 Be the first to comment on "Elphinstone railway station stampede leaves 60 injured and 22 dead"